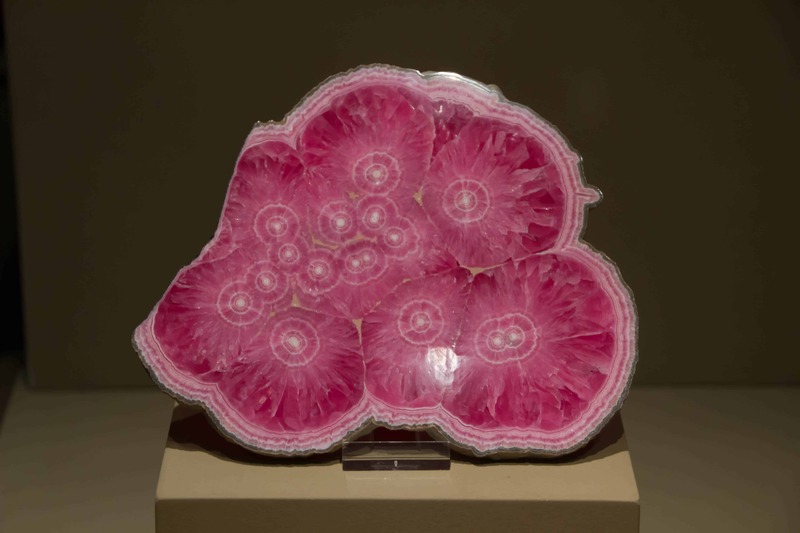 Rhodochrosite is a manganese carbonate mineral with a transparent to translucent rose-pink color with undulating bands of white, gray or brown. The name derives from the Greek rhodon, meaning rose, and lithos, meaning stone. Most often it is cut en cabochon although particularly transparent examples are sometimes faceted. Heat Sensitivity: Turns Dark and Breaks with a Jeweler's Torch. Gem Reference Guide, Los Angeles: Gemological Institute of America, 1988. Pp. 199-200.